A GREAT sense of pride lives on among Croatians since their national team reached the World Cup Final this summer. But, as I discover, this Eastern European nation has many things to be proud of as well as its footballing superstars. As the feelgood factor swirls around the country, now is the perfect time to discover its fantastic food and drink, awe-inspiring coastline and rich history. Coincidentally, I travel to Split with Croatia Airlines, which flew World Cup heroes including Ballon d’Or winner Luka Modric back home from Russia in July. Less than a 30-minute taxi ride from the airport, past the famous Mall of Split, I am checking in to the ultra-modern Radisson Blu Resort & Spa. Only weeks before my arrival it underwent a massive, £9 million expansion programme, increasing the hotel’s capacity by 40% (from 183 rooms to 252) thanks to a new 69-bedroom building. All the stresses of life back home slip away in an instant when you walk through the hotel’s revolving doors into its modern lobby, which has quirky blue “jigsaw” couches and glass staircases. They lead to a spacious, boutique-style room, complete with a glass-fronted balcony boasting panoramic views across the Adriatic Sea, which I’ll call home for the next couple of days. It seems no one is in a rush here and the service from friendly staff on reception, in the three restaurants and in the newly-refurbished spa is outstanding. After check-in, I head to the Door Bar for a light bite. But when I see the 100% homemade burger with brie and rocket adorning the menu, I have to have it – washed down with a glass of Posip wine. The country has been producing tempting tipples ever since Greek settlers arrived in the 5th Century and is now renowned around the world for its quality bottles, notably through the influence of Croatian-American winemaker Mike Grgich, a Napa Valley icon. I learn more about this during our evening meal at the hotel’s Caper Grill restaurant, where wine is paired with a range of delicious local dishes. The Greeks, I discover, have wielded a significant influence on this country, far beyond its fine wines. It was they who named its second-largest city after a flowering shrub called Spálathos. 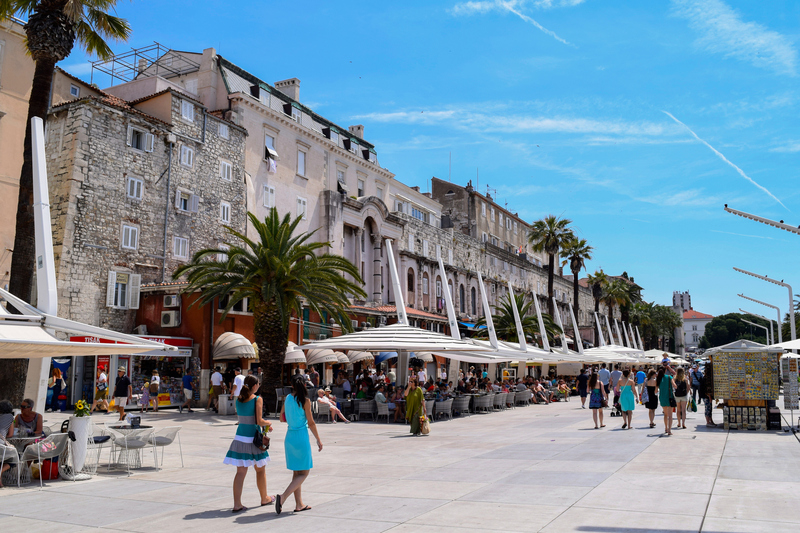 In the historic heart of Split, which has been part of Unesco’s World Heritage list since 1979 and is reminiscent of Corfu’s Old Town, we meet tour guide Dino who takes us around Diocletian’s Palace. Fans of Game Of Thrones will recognise it as the former slave city of Meereen, as featured in seasons four and five of the epic fantasy series. We learn more about the filming process from Dino, a history professor. However, you will be in awe of this place whether you are a GOT devotee or not. Inside the cavernous rooms of the palace’s eerily-quiet catacombs, I discover that thousands of people actually lived below the palace. Then we move on to an upper floor where I am amazed – if not a little disgusted – to hear that the underground area we are walking through was actually used as a septic tank up until the 1950s. As we wind through the palace corridors and along the Old Town’s narrowest streets, we arrive at Split’s famous bell tower before heading out through a once-domed room. Today this old, roofless, brick-built chamber provides perfect acoustics for performers and, when I visit, the pure and haunting voices of six Klapa singers perform traditional Dalmatian songs. It’s a wonderful aural experience. And we are in for a visual treat afterwards, as we head to the island of Brac on one of Coastal Experience’s yachts. We travel along a winding road to Vidova Gora, the island’s highest point at 780 metres above sea level. Grateful I didn’t climb to the top, I look across to the mainland and admire Brac’s popular tourist spot, the spectacular Golden Cape beach of Zlatni Rat, from above. 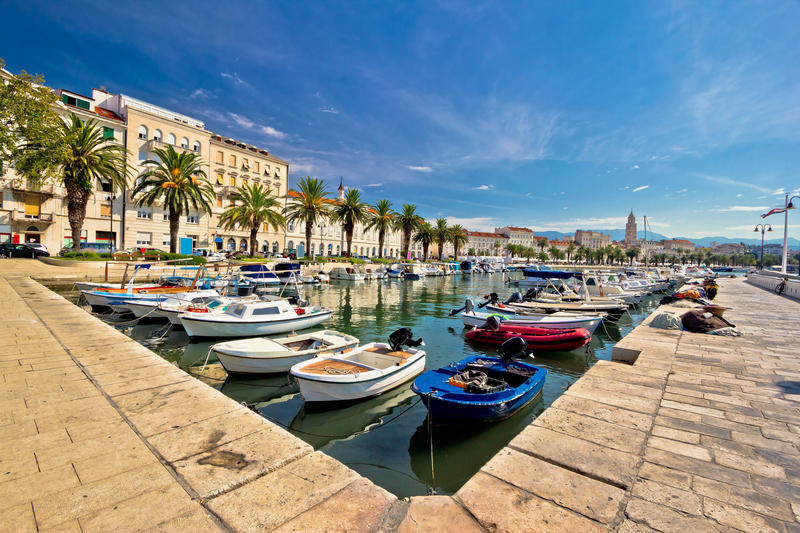 Brac is actually one of more than 1,000 islands which lie off the coast of Croatia. More people are visiting this Eastern European country than ever before. If you have not been yet, add it to your must-see list.